[Licensing] What does your License include? [Licensing]How do I renew my license? 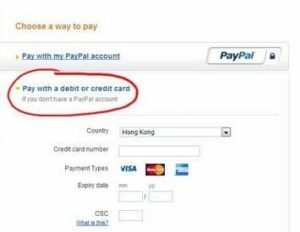 [Payment]Can I Pay by Credit Card? [Payment]How can I obtain a tax invoice? [Support] I bought theme-only. Can I buy support separately? [Support] How difficult are your themes to set up? What does the support include? [Support] How many tickets does support include? [Support] I sent a support ticket but received no answer. [Support] How do I get technical support? How do I submit a ticket? [Bug Fixes] Do you provide updates to your themes? What happens with bug fixes? [General] Are you a web design agency? [General] Can I view the back end demo of your themes? [General] Do you offer refunds? [General] Do your themes work with the latest version of WordPress? [General] Which Browser version do you support? [Setup] Do your themes come set up like their demo sites or are they blank and need a developer to customise? [Setup] Does my Theme purchase include PSD files? [Customization] Can I customise the theme color scheme to match it with my brand colors? [Customization] Can I call Speakers something else, such as Performers? [Customization] Are your themes translation-ready with .mo and .po files? [Customization] Are your themes multi-language? [Integrations] Do your themes provide registration/ticketing – Can I integrate with other platforms? [Integrations] Do your themes work with WPML? [Integrations] Do your themes work with Plugins? [Integrations] Do you support Woocommerce? [Integrations] Do you support Gravity Forms? [Integrations] How Does Your Integration With Event Espresso, Eventbrite, Xing Events and Wocommerce work? [Integrations] What version of Event Espresso do you support? If you are not able to access documentation (you get redirected to My Account area), please log out and then log back in. License keys have been deprecated, you should be able to download your themes, install them, and use them right away. Your purchase includes a lifetime license for using the theme and one year access to support and updates. After that, support and updates require renewal. If you purchased your theme before September 12, 2014, your license will be valid for 1 year from purchase. After that you should purchase a valid license key to receive updates and bug fixes. Yes. Here you can buy a support license to use our HelpDesk service. How many tickets does support include? With a support license you will be able to send support queries in our help centre. We have a 5 tickets per month fair use policy with support. To see what support includes review the terms here. Only customers who purchased a support license can send tickets. If you would like to submit support requests, you can purchase a support license here. How do I get technical support? How do I submit a ticket? Head to our support portal. Click on Submit a request. Are you a web design agency? No. We are not a web design agency. We can’t offer web design services to customize the theme to your liking. A WordPress theme is a canvas and cannot satisfy very specific needs. As much as we try to add more features, it is impossible to satisfy thousands of different requirements. It is very important that you familiarize with what you see on the demo as this will be what you’ll get once you purchase the theme. Of course! When you land on a demo, click on the ‘View Backend’ button on the theme selector. All of our products come with a 30 days refund policy. Yes, our themes work with the latest version of WordPress. We usually support the latest 3 versions of Chrome, Firefox and Safari. We do not support IE6, 7 and 8. Can I customise the theme color scheme to match it with my brand colors? Can I call Speakers something else, such as Performers? Of course. You will need to edit some templates to achieve it though, therefore if you are not confident enough, we recommend to purchase support as well. We will guide you step by step on how to change the taxonomy. Tyler, Januas and Fudge come in ready with translations and we can also provide .po files for both themes. Event Manager Theme doesn’t come with .po files for translation. We integrate nicely with some third party services. See the theme comparison list to find out which systems are supported. We cannot guarantee any of our themes working with WPML. In general we suggest to use as few plugins as possible. The WordPress repository offers hundreds of thousand plugins, it is prohibitive to integrate with all of them. Major plugins work fine in most cases but we cannot guarantee functionality when you install external plugins. Plugin support is something our support team won’t be able to help you with. Our Integration with all the above theme providers goes as far as integrating the ticket selector. Items such as speakers, sessions and schedule will not integrate with those of the tools if offered. You can safely drop a ticket selector from any of the above services and be sure that it will correctly display on our theme. Fudge 2.0 can pull Event Info and Tickets information from Eventbrite via API. What version of Event Espresso do you support? No Vertoh does not have native registration. Vertoh does integrate with Eventbrite, Woocommerce, EventEspresso, Xing Events. No. Fudge does not have a native registration/ticketing system. It integrates well with Eventbrite, EventEspresso, Xing Events and Woocommerce. You may as well integrate with other registration/ticketing services but extra styling may be needed. No. At present you can only add anchors to the page section in the top nav menu. This is to keep the attention focused on the homepage. Can add or remove the sections I see on the demo? Fudge is fully customizable. You select what goes where on the home page. Everything is managed through drag and drop widgets. No. While Januas support multiple events, for recurring events you will have to set each event again for every new date. The single event page shows the date the event starts. You can then display the multiple days of the event through the schedule widget that has a nice day breakdown. This is a good example (see Schedule on the sidebar), and extended version. No. Januas does not have a native registration/ticketing system. It integrates well with Eventbrite. You may as well integrate with other registration/ticketing services but extra styling may be needed. While this is not the way our theme is supposed to work, several clients use it that way. By using posting privileges that WordPress uses you could get users to register and then access the event posting area of the dashboard. Once again we do not recommend to use Januas this way as there may be unexpected problems we did not cater for. You will probably need external plugins to make the site work the way you mentioned. In essence, it’s feasible but we do not recommend it nor we will be able to help of anything goes wrong. No. Genesis is part of the EMTheme package. Genesis is free to distribute as it is under GPL license. Genesis does not impact on the price of the theme. No. Event Manager Theme is meant for one event only, although it can be over more days. For multiple events, check out Januas. No. Event Manager Theme does not have a native registration/ticketing system. It integrates well with Eventbrite. You may as well integrate with other registration/ticketing services but extra styling may be needed. Unfortunately not. Only Januas and Fudge come in multi-language translations and we can also provide .po files for your own translations. No. Unfortunately Event Manager Theme does not have advanced scheduling. For that, head to Januas (for advanced scheduling for multiple events) or Fudge (for advanced scheduling for single events).